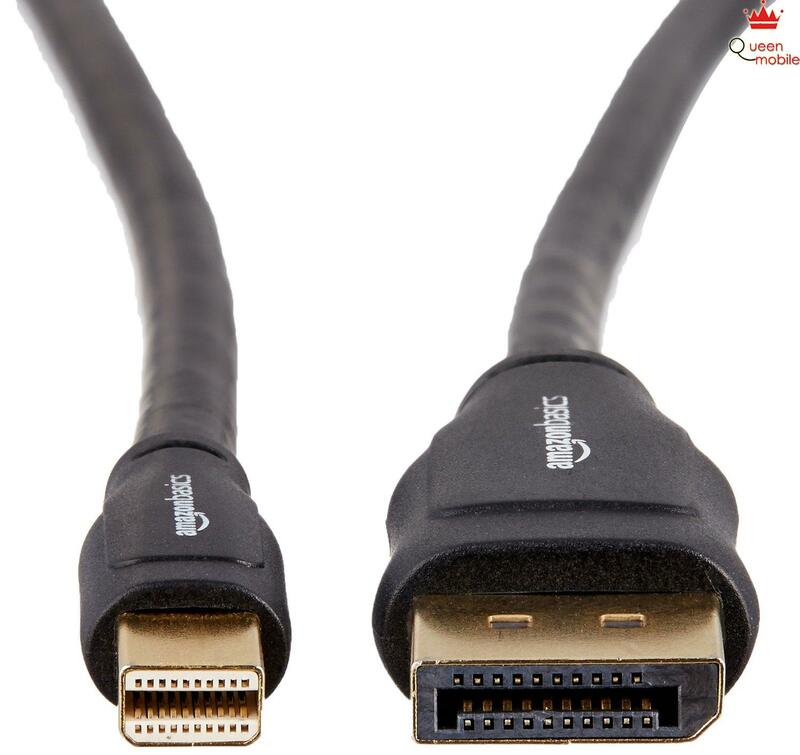 To ensure long-lasting performance, strength, and optimal signal transfer, the premium cable combines corrosion-resistant gold-plated connectors, bare copper conductors, and foil-and-braid shielding, which helps reduce electromagnetic interference. 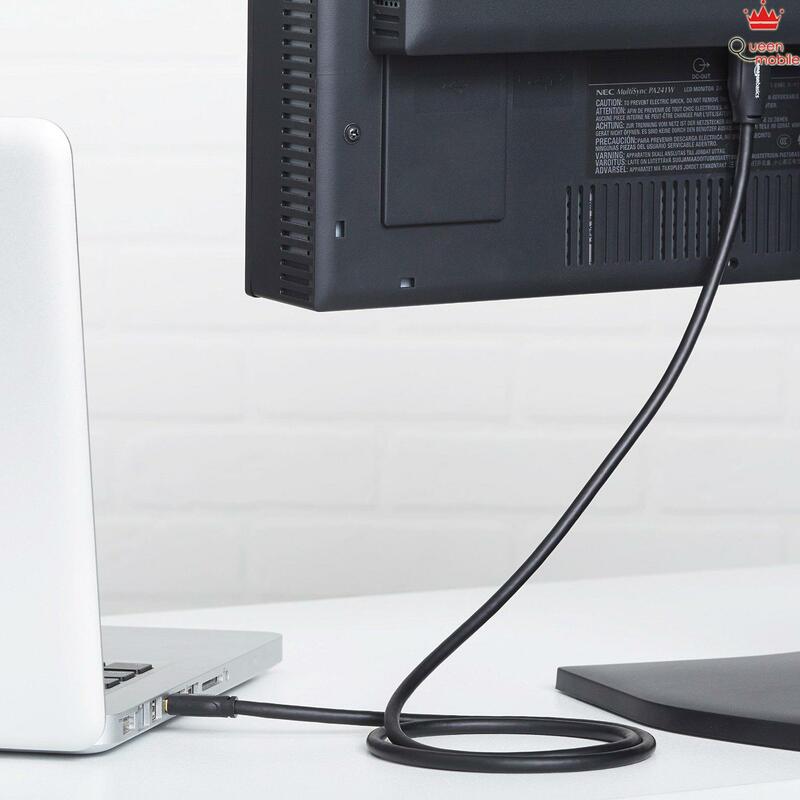 Ergonomically designed treads ensure a secure grip for easy plugging and unplugging. Even more, the cable’s low-profile connector doesn’t get in the way of adjacent computer ports, and its molded strain-relief design promotes long-lasting durability. 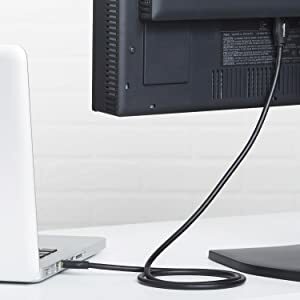 Whether at home or the office, the AmazonBasics Mini DisplayPort to DisplayPort cable provides a quick, easy, high-quality connection. 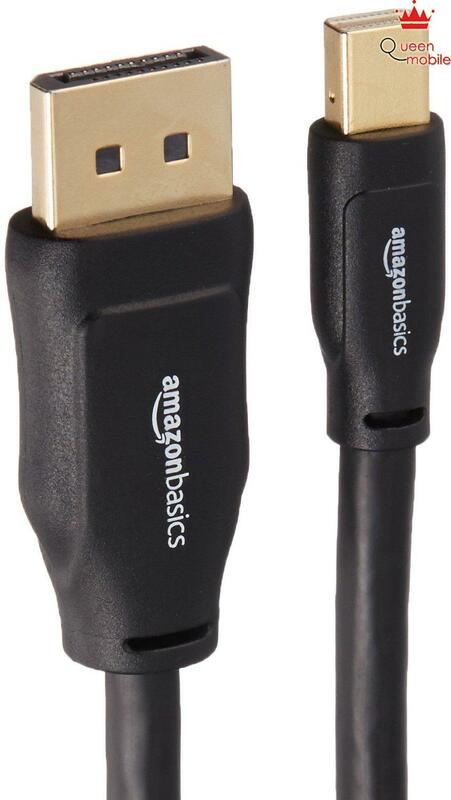 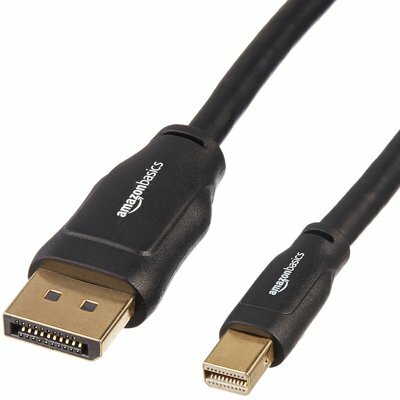 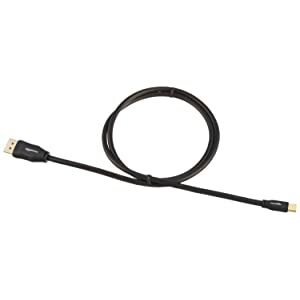 Compliant to DisplayPort version 1.2 specifications, the AmazonBasics cable supports video resolutions up to 4Kx2K, including 3840×2160, 2560×1600, 2560×1440, 1920×1200, 1080p, etc (Ultra HD and Full HD), as well as seamless audio pass-through for uncompressed digital channels (7.1, 5.1, or 2). 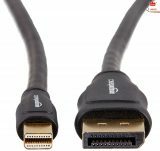 The connection input is Mini DisplayPort Male, and the output is DisplayPort Male.